A week ago I looked at the common shapes that we use on pattern-collections.com to create patterns. 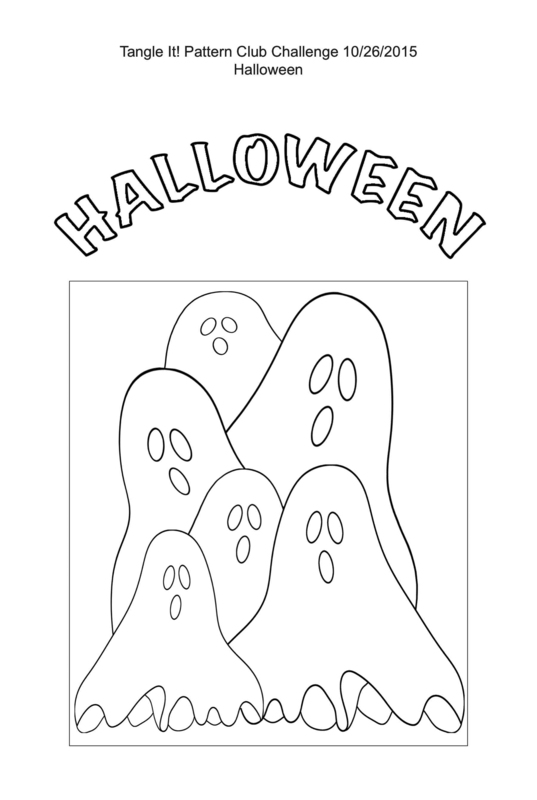 We picked them all because they are easy to draw – EVERYONE can draw these shapes, artist or non-artist! A few pattern designers jumped at the idea to have a play with loops to see what we can come up with. Well, within a week we managed to come up with over 80 new step-outs. My biggest eye opener was when I used the half loop and turned, twisted, and connected this half loop in different ways. Bam – suddenly I created this pattern – known as Cadent. Cadent is drawn completely different though! As you can see, the original Cadent uses a dot grid and then wraps an S-shape around the orbs. Cadent Reborn begins with a half loop and grows from there. This allows for more flexibility. Without giving it any thought, I continued to play around with those half loops, and out came Y-Full Power Reborn (took me a while to find the original pattern), Funlz Reborn, and Full Funls Reborn. There is more to come during the course of next week! Right now we are busy preparing for TangleMania Frankfurt 2017! It’s only 4 weeks away. We are all totally excited! I will have to talk really really fast because there is so much to tell! If you want to join in a weekend of tangling fun, click the link and register. After many months of planning, I finally had the guts to begin work on a new webpage. The way I categorise patterns in my upcoming book needs to be shared. Where do you start when you want to identify a specific pattern that you discovered in a tile? Well, normally you can identify what kind of an underlying structure the pattern has. Is it a grid? Or a ribbon? A flower? To look it up you need to have pattern sorted by framework. Only searching your entire collection of patterns does not help. It will take hours to find what you are looking for. THIS method will limit your search drastically! Sometimes you have a string that needs a filler pattern. For inspiration you can just call up the section containing only these. I will write an extensive blog post on the new site shortly. Last week alone, I added 3 new patterns from my collection and 9 new patterns from contributing artists. The Simalinas are working on the next book, of course. This time however, we are inviting YOU to participate. There is a challenge in the Tangle It! Coloring Club on Facebook and another one in the Tangle It! Mandala Club on Facebook. Create a coloring in page before Sunday, 10th January 2016 and post it in one of the groups. All members of that Facebook group can vote for their favorite page. The 3 pages with the most votes will be included in our next project, which is due to be released in February. We posted a template with the correct size in each group. All entries must be black and white and not shaded. The artist must sign and date the artwork. Users from the group are allowed to use the art to color and post the results. On the 10th January we will create an album and a Facebook poll. Group members will be able to vote for one week. The winners will be announced on Monday, 18th January. Each winner will receive a free copy as soon as the book is available on Amazon. 1. The drawing area is 6″x9″ – anything exceeding this ratio will be cropped. 2. The drawing should be black and white without shading. 3. Your artwork must be signed and dated (copyright, ya know). 4. Users from the group are allowed to download and color. 5. Keep a scan of the original artwork at a resolution of 300dpi handy – if you win, we will require this original to include in the book. We just announced Challenge #2 in our Facebook group that is dedicated to new patterns. Tangle the string and include the new patterns Dice 2, Joyride and Coroline. We would love to see your artwork. Either join us on Facebook or include the link to your blog in the comments below.